RVA Bike Month starts this Saturday April 28th! This is a fitness and kid friendly event. You and your family can come out to every event you can- in Richmond, Henrico, Chesterfield and more. Keep checking back in the event’s Facebook page to see what’s updated, added or modified! This Facebook event is Bike Walk RVA’s central promotional and informational tool for all 50+ RVA Bike Month events for 2018. Promote your event here, ask questions, seek volunteers, recruit riders and participants, share your stories and photos, and more. 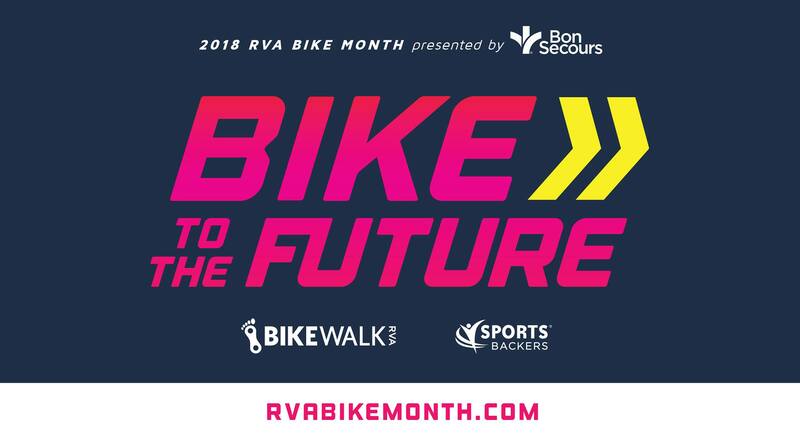 The calendar details can be found at www.rvabikemonth.com (will be live shortly), and there will be posts almost every day starting at the end of April all the way to June with updates, reminders, changes, rain dates, and more. RVA Bike Month – the most wonderful time of the year. 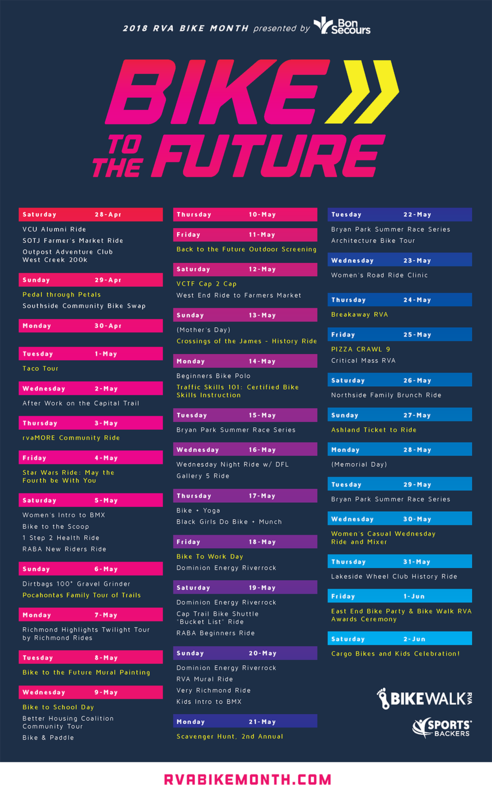 Every May, Bike Walk RVA partners with local volunteers, bike shops, businesses, and other organizations to organize a full month of fun biking-related events that encourage everyone from first-time bike riders to seasoned cyclists to get out and ride. The events come in all shapes and sizes, and there really is something for everyone! Taco crawls, brewery tours, bike polo, family fun rides, bike lane cleanups, bike commuting seminars, and so much more make up the diverse lineup of events that RVA Bike Month offers each year. RVA Bike Month is powered by an amazing group of volunteers who create, promote, and execute their own events.